NV-3x3 Roller — True-Surface® by Turfline, Inc.
Others will be green with envy when they see you have a True-Surface® NV 3×3™ on your course. We always recommend our True-Surface® Vibe V™ Vibratory Greens Rollers; but if you aren’t feeling the vibrations, go with our non-vibratory option. The NV 3×3™ is designed to smooth your greens by using adjustable weight instead of vibratory action. The True-Surface® NV 3×3 ™ is equipped with an innovative tri-rolling system that uses three rollers to create smooth and healthy greens. 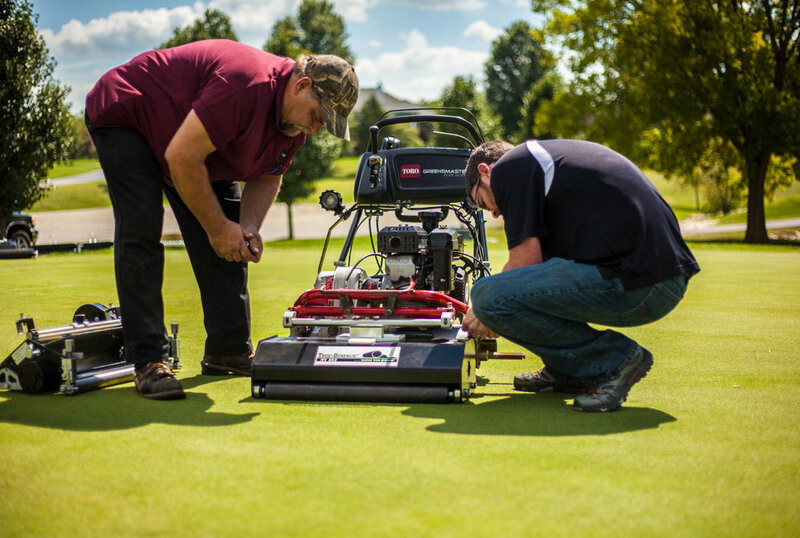 The NV 3×3 ™ attaches directly to your triplex greens mower and is easy to use with no additional training necessary. Adjustable weights allow you to control how much rolling power you need to smooth your greens – add up to four additional 5 lb weights per greens roller.